Because this garden we live in is 3 generations old, almost every plant has a story associated with it. 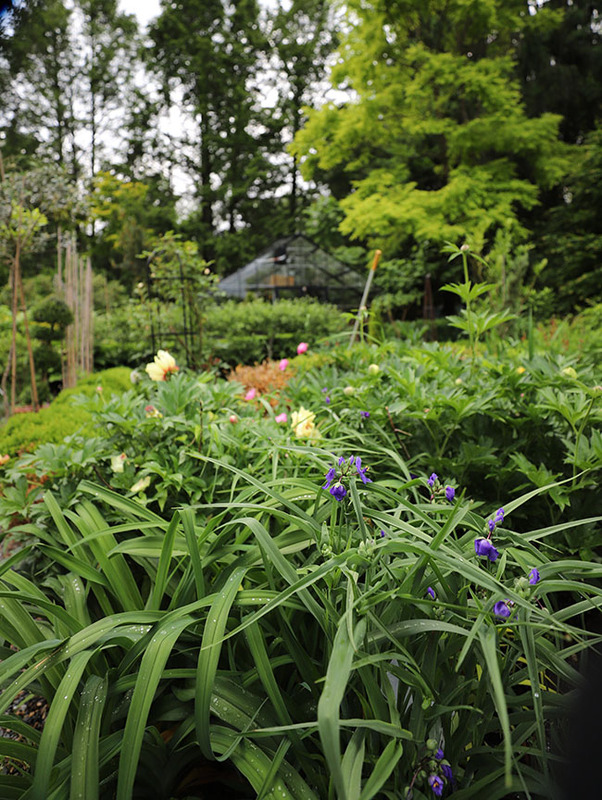 Gardens are really living time capsules of memories, emotions and full of personal bits of nostalgia and sentiment. I promise that I won't get too sentimental. Really. But today was one of those days that you dare think about. While rushing around to buy leech-proof gators for Yunnan at REI (they didn't have any nor have heard of them) and while packing up baby pheasants for folks who bought them from us on Craig's List, I got a phone call from my brother that my sister had died. Cindy was diagnosed with stage 4 ovarian cancer last Thursday after ruling out a host of other cancers we needn't think about, so she was suddenly getting iller and this wasn't a complete surprise. Cindy and I were close so I was the first to know when my brother called me. Closer to me in age than any other sibling we always had a special relationship. We shared many traits - the same comfort foods, a love for old 1930's and 40's movies (screwball comedies), cooking, gardening (not exactly at my level though! ), and lots of childhood secrets, inside jokes and hopes. Of course, I will miss her dearly. We are all planning a private service for her in the autumn when my other brother can get here from the west coast, perhaps near her birthday in October. I adore the scent of geraniums (pelargonium sp). Not everyone's thing, I know, but every few years I like to build a collection that will bloom through the summer in the greenhouse. I leave for China this weekend, which will now more than anything help keep my mind off of all of this. Cindy was anxious to hear about my trip when we spoke on Sunday, so I felt that it should still go on. 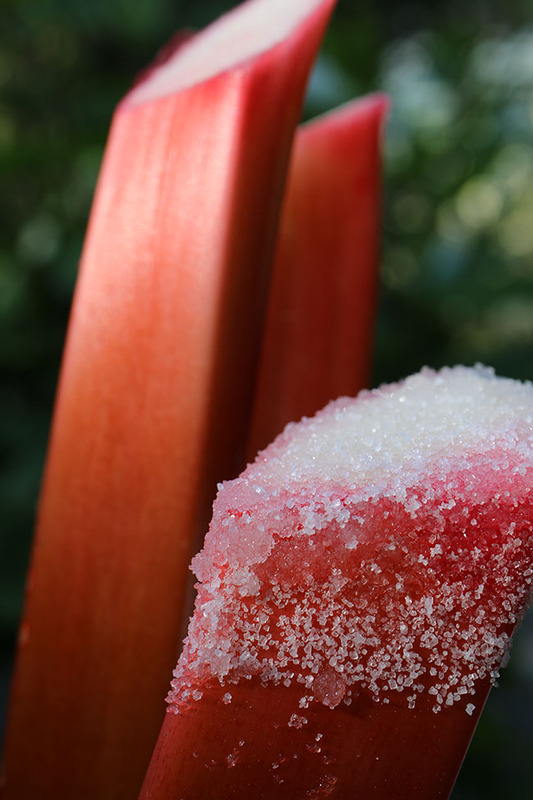 Memories of rhubarb stems dipped into a bowl of sugar should bring back memories for anyone raised on a farm or with a large garden. 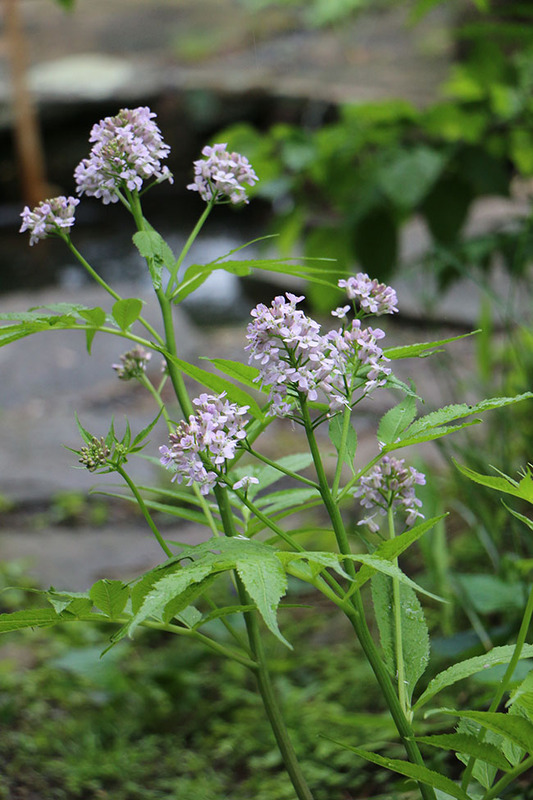 For those of us close to a garden, or for those of us who were raised in a garden with siblings, or parents and grandparents- we often associate memories with certain plants. 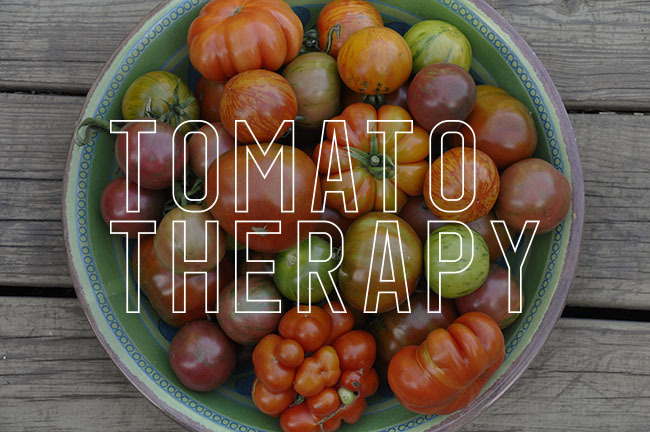 I think we often underestimate the nostalgia aspect that plants offer us. 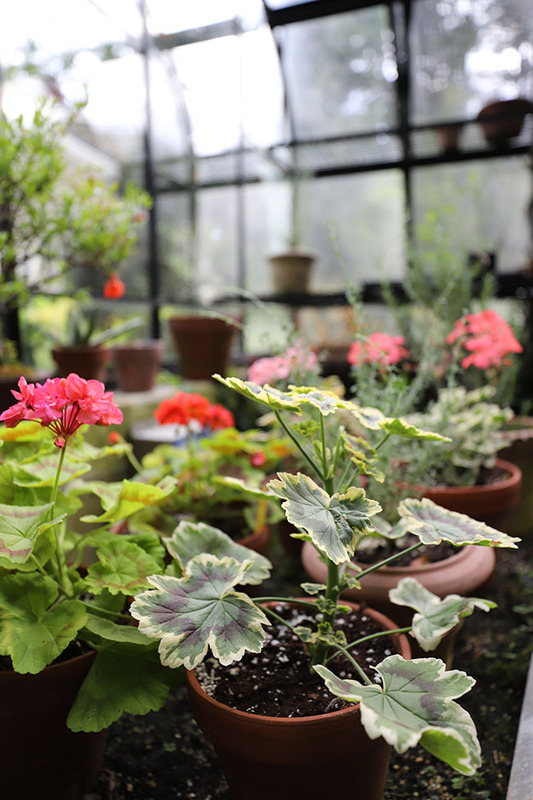 Sure old trees and scented shrubs can live forever, not unlike an old piece of treasured furniture, but even the scent or appearance of a flowering plant in the garden can be like living history. I often imagine that an old rose or flowering plant like a scented violet mimics exactly the precisely same scent that perhaps Lincoln or Josephine experienced. 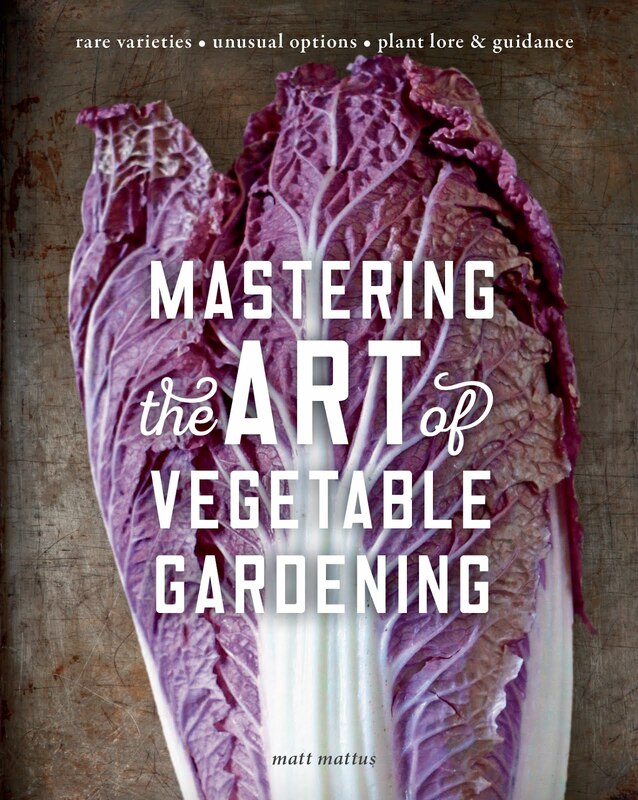 Plants offer us each season with a fresh re-fresh. I am certain that while in China visiting the home of Joseph Rock or following in the footsteps of Frank Kingdon Ward that I will see many of the plants that these and other well-known plant explorers found which now grace our own gardens. A Davidia involucrata bloomed this year in our garden (it's third blooming in 30 years), and I imagine that I will see it too in bloom in China. 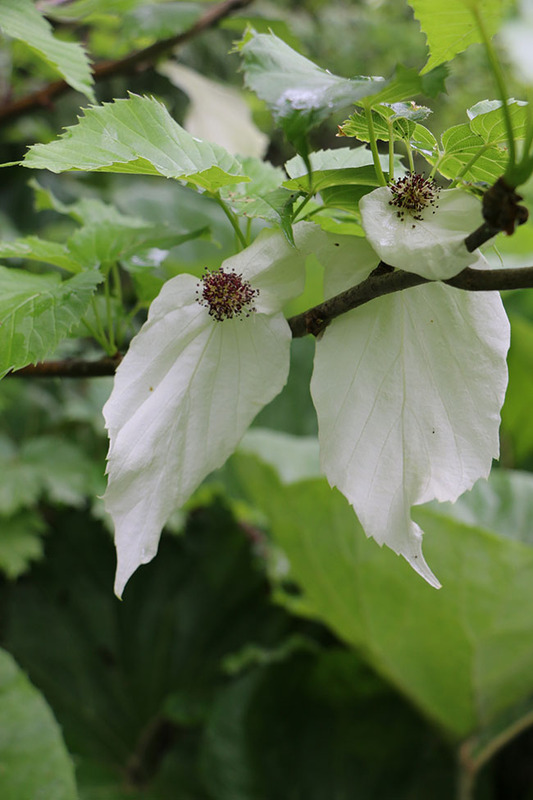 Not often seen in most gardens as it is one of those trees more likely found at a specialist nursery and not at a big box store, the Davidia, or Fabled Dove Tree had large, white bracts or leaf-like structures surrounding their blossoms which hang down not unlike handkerchiefs (or, to be more relevant- not unlike dryer sheets. but 'The Fabled Dryer Sheet Tree' just doesn't have the same 'ring'. 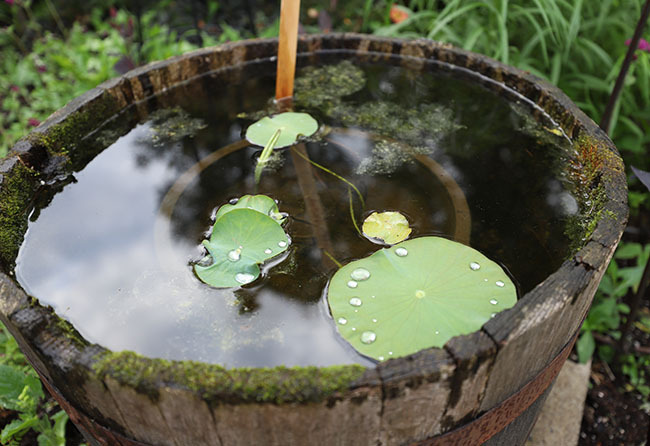 I call this barrel the old goose bucket, for when I was a kid we had a goose that would swim in tiny circles in it, clearly forbidden from the chicken yard. Today, Joe has planted a lotus in it. It should be beautiful come August. Lilacs, bleeding hearts, tiny white bunches of Indian Pipes in the woods, peonies which she would make bath oil from, and so many herbs. I am realizing that so many plants like rhubarb remind me of her that it will be difficult to forget the association, but that's OK of course. Memories are good things. I leave for China on Saturday, to the exact areas in Yunnan were the Davidia or Fabled Dove Tree was first discovered. Ours bloomed this year as it never has bloomed- full and covered with white bracts. 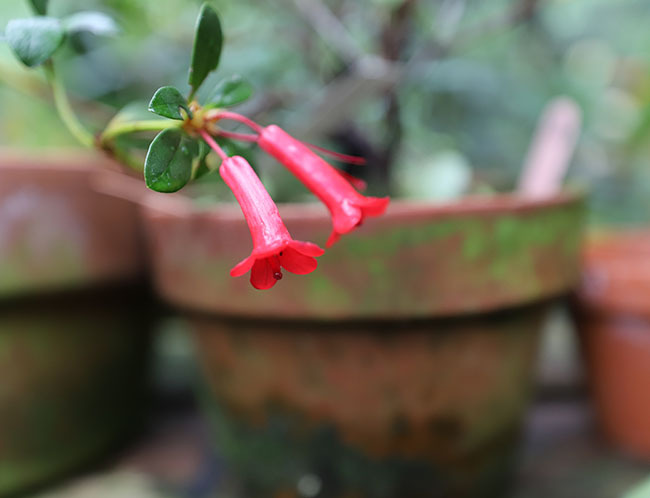 Alpine Glow, a tiny red tropical rhododendron, or Vireya. 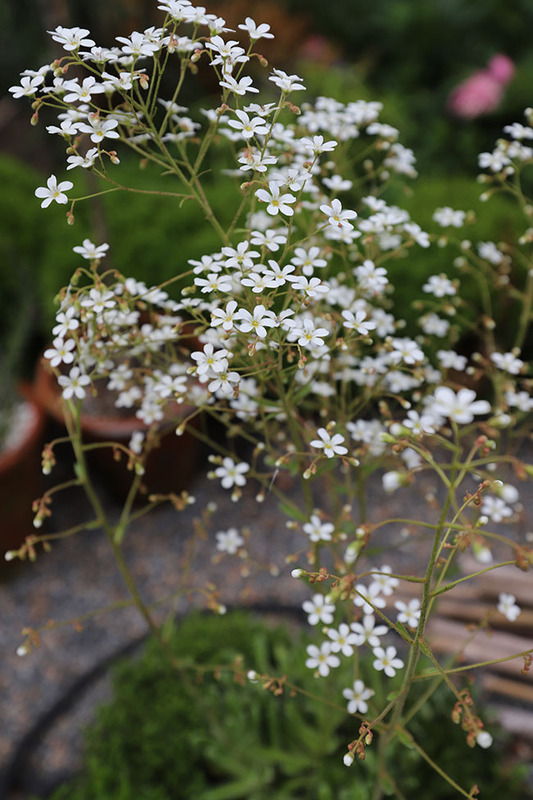 It has to live in the greenhouse here but often surprises us with its tiny flowers in June. Ironically a red cardinal has made a nest inside of the greenhouse, flying in and out of the vent every day to feed its young. 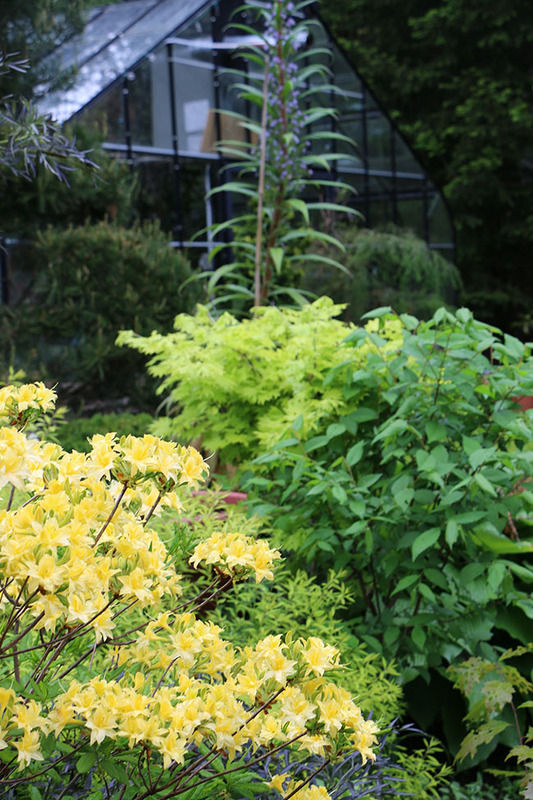 Yellow rhododenrons bloom near the greenhouse. This R. 'Narcissiflorum' has a double'hose-in-hose' type flower and is deciduous. Plantsman Dan Hinkley often wrote about the many benefits of the genus Cardamine, which inspired me to start collecting many of the species nearly 15 years ago. I believe that this is Cardamine macrophylla, from a Crug Farm collection (number BSWJ2165a) from Singalila Ridge in the northern Indian HImalaya, but it appears lighter in color from other clones available. It's a tall and later flowering Cardamine, at 3 feet, but still very impressive for a plant from the cabbage family. 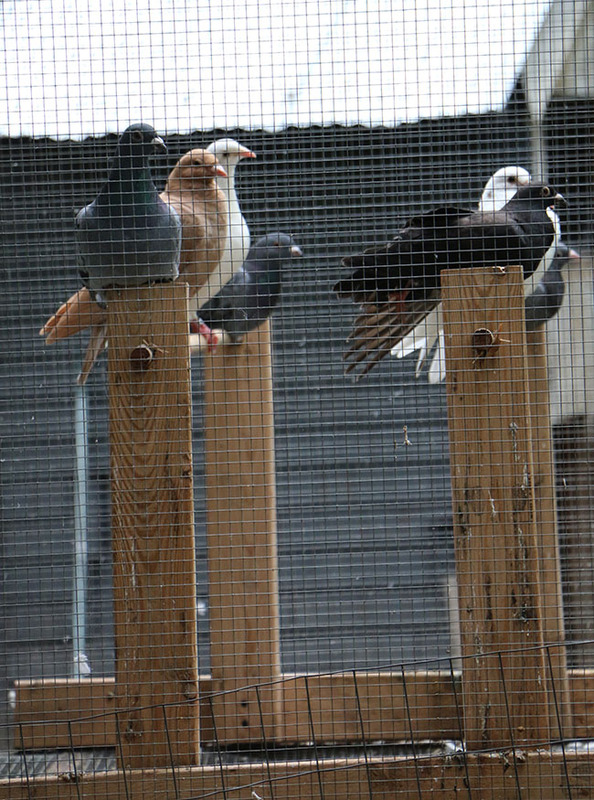 Ou homing pigeons are nearly ready to be released, as it has been a year since we obtained them and their many youngsters are now assimilated and will recognize this coop as home. 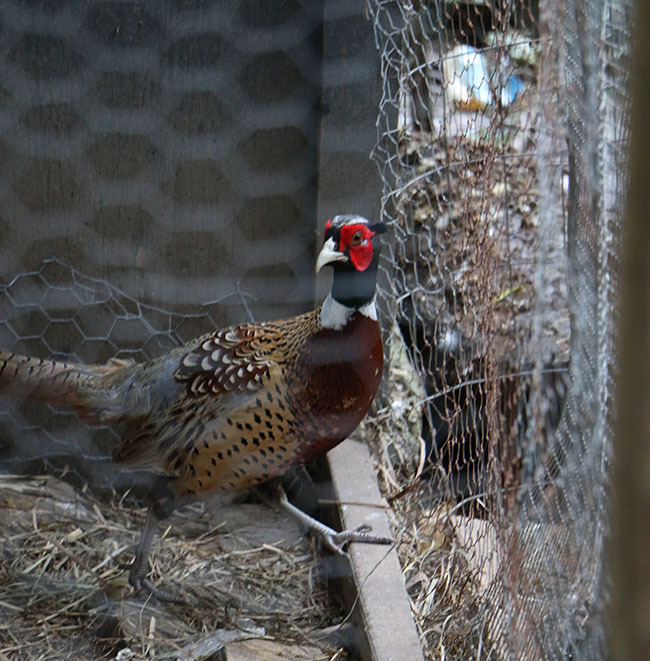 The Ring-Necked Pheasants have been productive as well laying dozens of eggs most of which have hatched into some of the quickest chicks imaginable. Faster than terriers and foxes combined. As if I have nothing better to do, we have undertaken the construction of a gourd tunnel (inspired by our visit to Amy Goldman's famous and lovely gourd tunnel in upstate New York on her farm). Our's will be quite different, and like many projects I get involved with, has become larger. 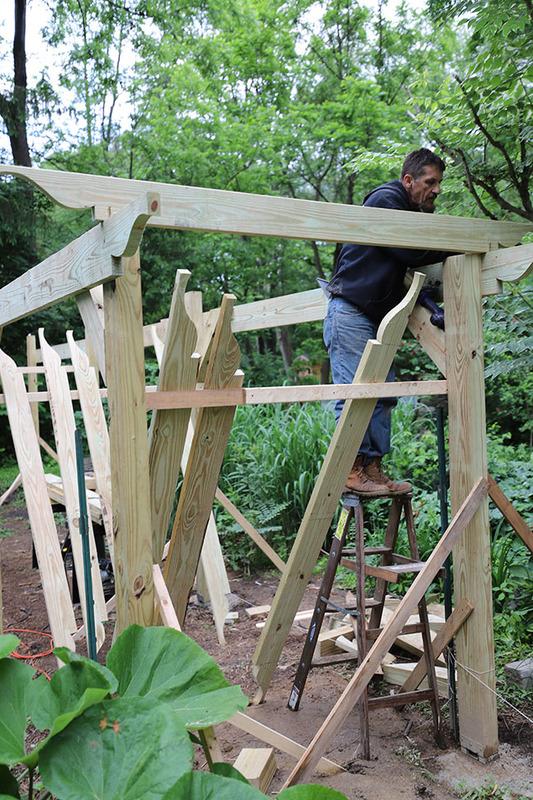 It will be an 'X' shaped trellis or arbor, really. 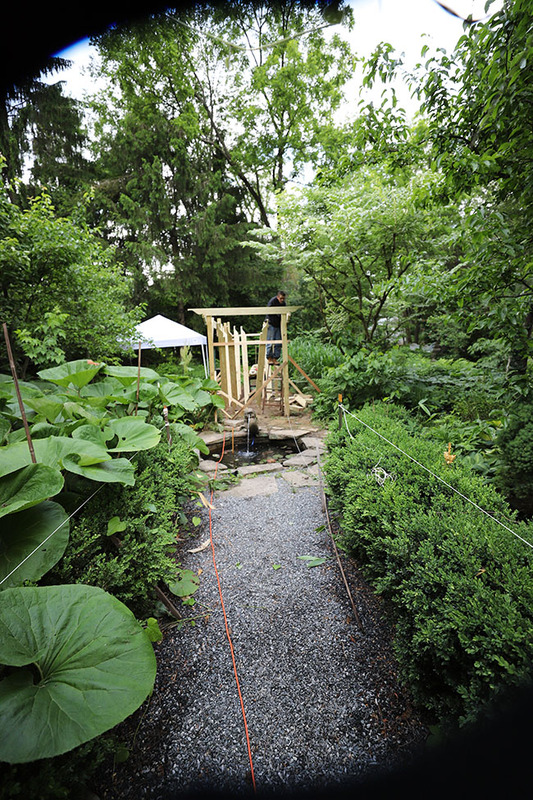 Extending in four directions around our old koi pond that has been there since 1920. At one time there was a grape arbor next to this, so I imagine that this too will house grapes once our fascination with Asian gourds passes. Give us a year. I almost want to paint this 'gourd tunnel - meets - grape arbor' with a coral or cinnabar colored paint to but its form will be more Arts & Crafts than anything generically 'Asian', and certainly it's not Japanese or Javanese. White will probably be the color once the gourds attack it (they are already started in the greenhouse), so it will be a fall painting project. The stone alpine troughs are in peak bloom this week. Check out this very tall Saxifraga longifolia which, as a monocarp bloomed last year, but its suckers all extended the bloom this year as it sometimes does, in a very-Wisley-like display. Well, folks, this will probably be my last post until I reach China. A few days in Beijing next week, and then off to Yunnan. Hopefully my VPN will work and I will be able to post live from there, if not, then I will recap once I return.